As a fully automated state-of-the-art dynamic flow system AutoFlow BET+ allows extremely rapid evaluation of the surface areas of solid samples. It performs single-point or multipoint determination of surface areas quickly and quietly on up to three samples simultaneously and independently. No vacuum pumps are required, reducing setup and maintenance costs while also eliminating time-consuming pump downtime and void volume measurements. 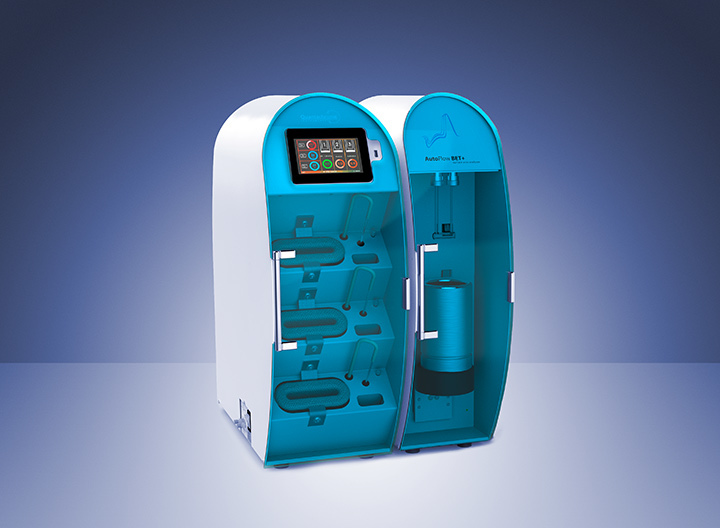 The control module features a touchscreen and houses three built-in sample preparation stations. A PC software version which is 21 CFR Part 11 compliant is available for customers characterizing pharmaceutical samples.